performance in the "perform-o-rama." It's a sweet, touching story that tweens, and older, can surely relate to. Emma-Jean is one of my favorite tween characters ever. Some reviewers have tagged her as autistic, but the reader can decide from themselves as they read about the smart, and socially awkward, Emma-Jean. Emma-Jean is another charming read that will stick with you. 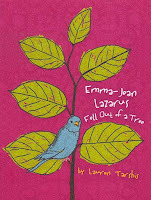 I'm looking forward to catching up with Emma-Jean again in the sequel, Emma-Jean Lazarus Fell in Love, which came out in May. Terrific books and insights! And congrats on the nomination for Best YA blog. If you have any suggestions for getting young adults to read, please let me know. I have a Reluctant Reader blog (http://jeffrivera.typepad.com/jeff_rivera/), and would love your input! 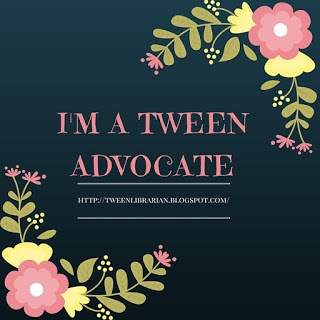 I love your Tween Tuesdays! A Crooked Kind of Perfect is in our book order forms. I think I'll make sure to order it. I haven't heard of Emma Jean, but I'll be looking for it now. I love Emma Jean! I've read both books and look forward to a third (please, Ms. Tarshis). These books made me wish I had daughters. Thanks for spreading the word about Emma Jean Lazarus. adding them on my tbr list!